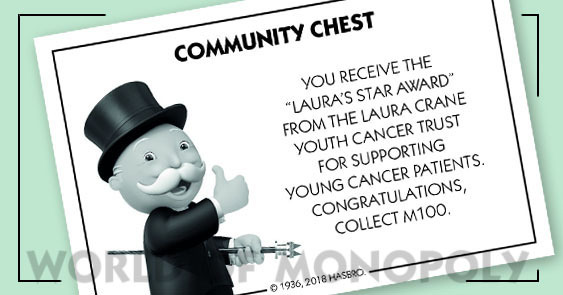 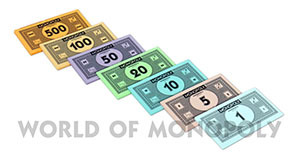 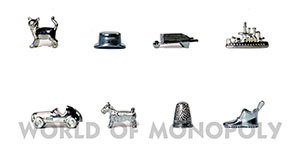 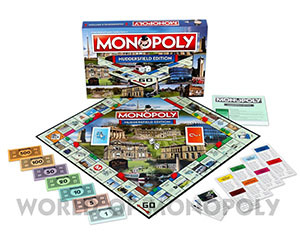 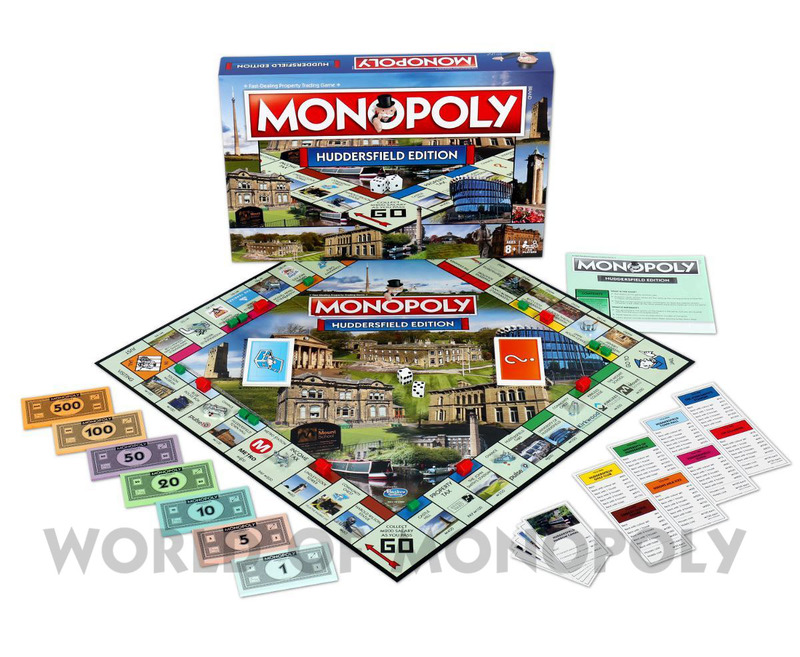 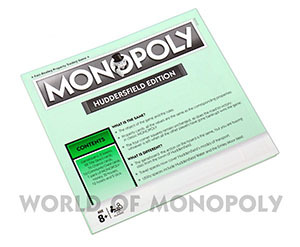 MONOPOLY, the great property trading board game, finds its home in the historical town of Huddersfield: from award-winning Victorian architecture to Iron Age monuments. 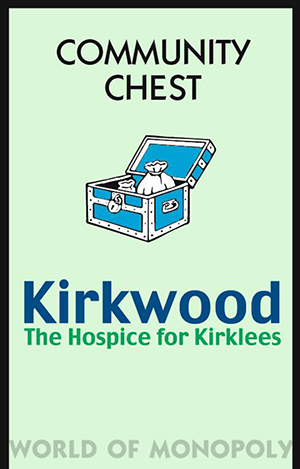 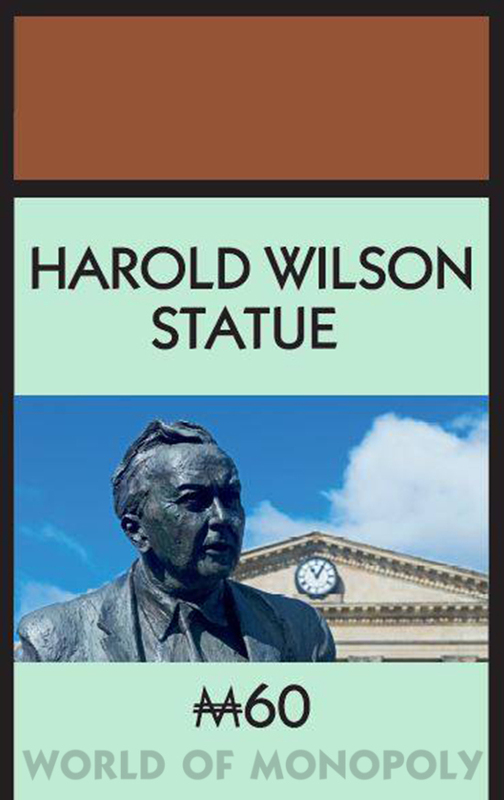 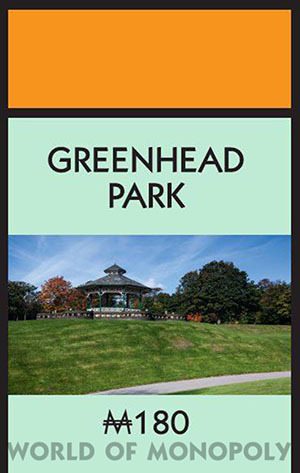 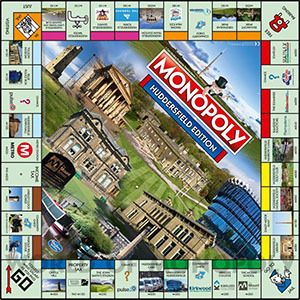 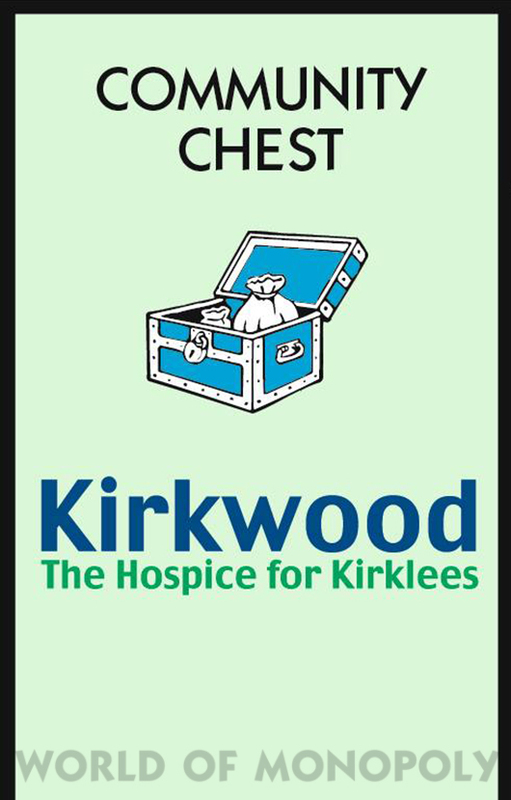 Journey around the gameboard with Huddersfield Cabs and explore landmarks including: Lindley Clock Tower, the Town Hall and Huddersfield Golf Club. 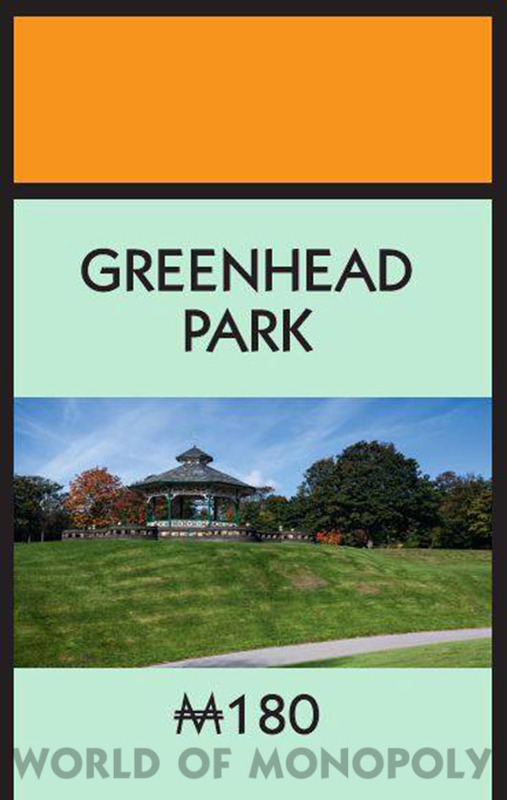 Don't forget to stop off for some refreshments en route at Dixons Milk Ices or Beaumont Park. 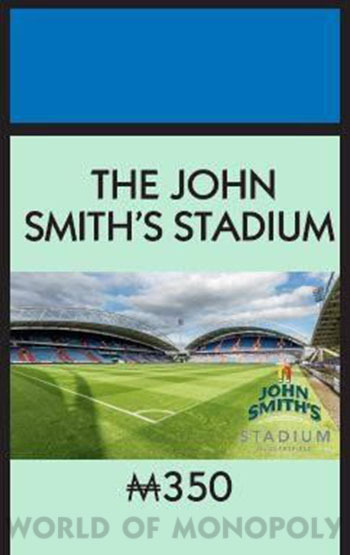 You can further relax while watching the Huddersfield Giants play rugby, or take in some culture at the Choral Society. Take a spin around this beautiful market town and perhaps you'll own your favourite location, or discover a hidden gem in "God's Own County"! 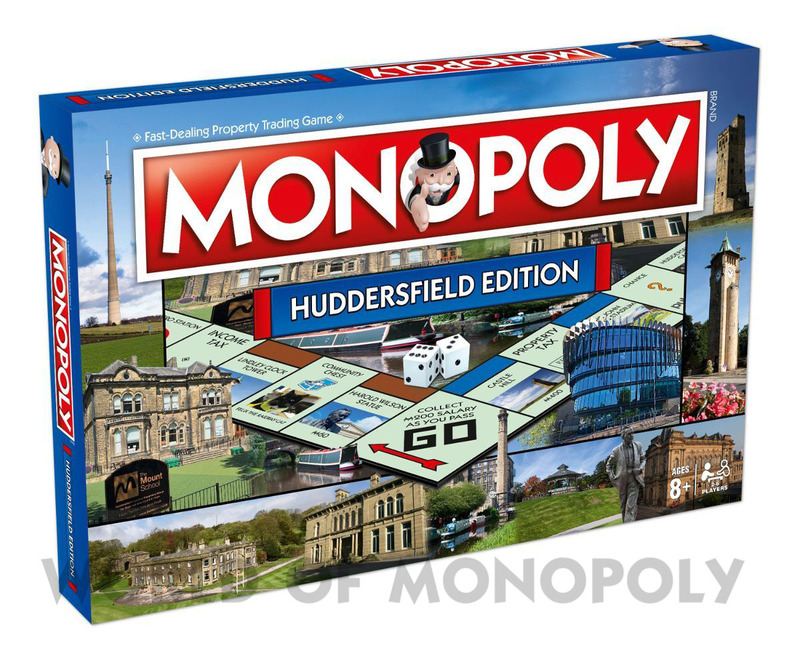 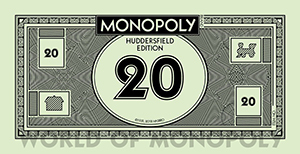 Choose your favourite token, tour the beautiful sights of Huddersfield, including the splendid Castle Hill and Huddersfield Town A.F.C. 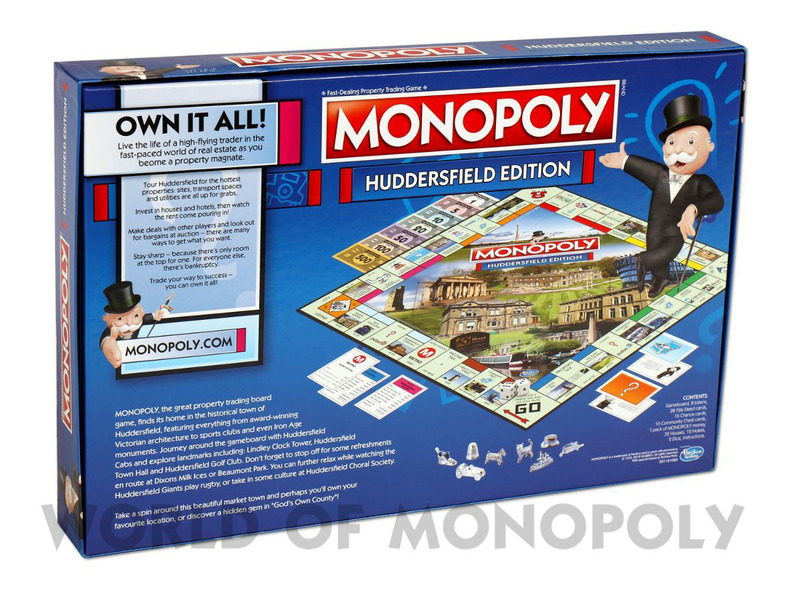 at the John Smith Stadium, and accumulate fortunes, but watch out for taxes, jail and bankruptcy. 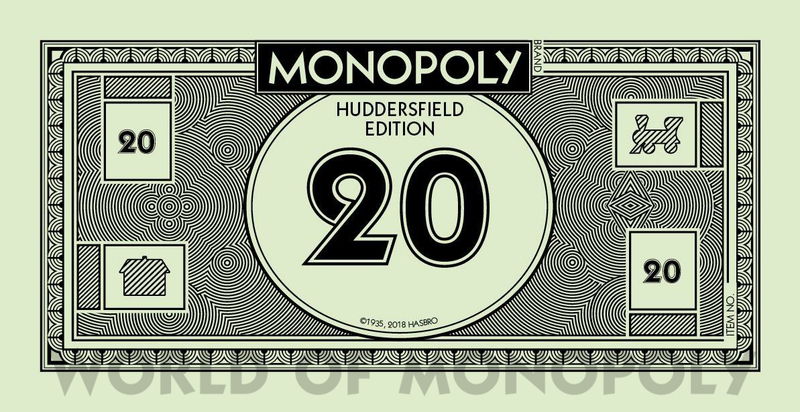 Advance to Stafflex, The Mount School, Huddersfield Lawn Tennis and Squash Club, or even the Harold Wilson Statue - will you owe rent or reap the rewards? 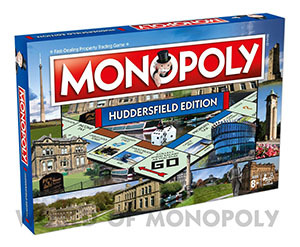 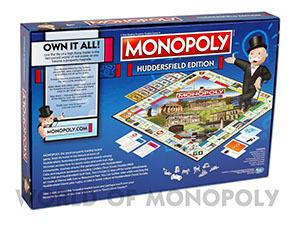 If you pre-ordered this version at Huddersfield Town Megastore, you received an extra token. 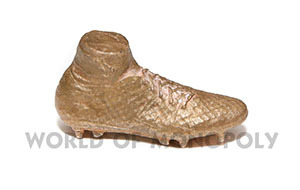 The special momento, which was commissioned by Town Chairman Dean Hoyle, is a scaled down solid bronze replica of Christopher Schindler’s winning penalty boot! Schindler’s boot was digitally scanned following the game at Wembley to create a smaller scale replica. 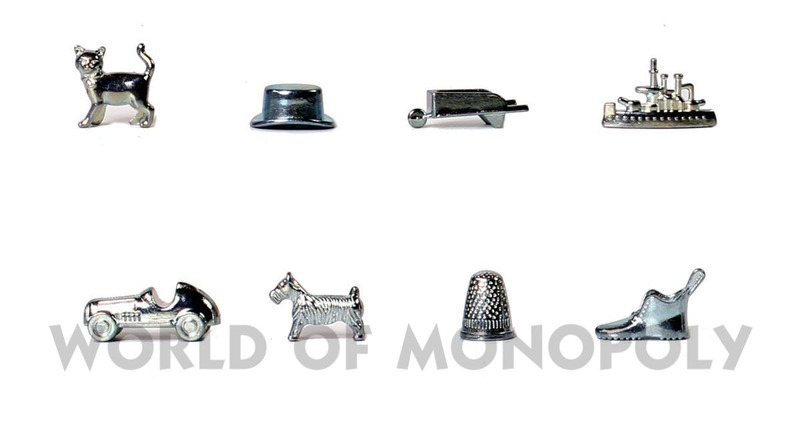 Each solid bronze boot was then produced individually, by hand, to give as much detail as Schindler’s boot as possible.